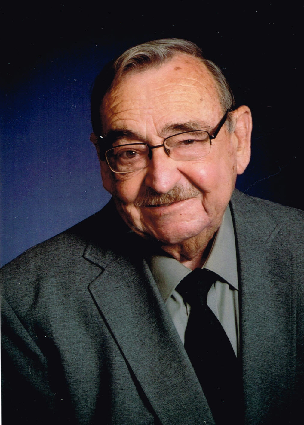 Donald E. “Don” Pangburn, 83, of Lyons, passed away August 10, 2018 at Hutchinson Regional Medical Center. He was born on May 15, 1935 in Lyons, the son of Virgil and Vera Misner Pangburn. He graduated from Lyons High School with the class of 1953. Following his graduation he attended Wichita State University. Don grew up in Lyons, having lived in Wichita from 1955 until 1997, before moving back to Lyons. He was a mechanical engineer for Fagan Mechanical Contractor of Wichita. Don served in the United States Army Reserves with the 89th Division Military Band for 10 years. Don was a member of First United Methodist Church. On November 25, 1955, Don was united in marriage with Norma Adams in Frederick, KS. She survives of the home. He is also survived by his three sons, Michael Pangburn and wife Cindy of Nortonville, KS, Mark Pangburn of Geneseo, KS, and Sheldon Pangburn and wife Mary of Wichita, KS; four grandchildren, Brian Pangburn, David Pangburn, Lori Pangburn and Luci Medlock; and three great-grandchildren, Lily Becker, Addelyn Pangburn and Charles Pangburn. He is preceded in death by his parents, brother, Gerould Pangburn; and sister, Virginia Bayer. Funeral service will be 10:30 A.M., Wednesday, August 15, 2018 at First United Methodist Church with Pastor Kim Shank officiating. Burial will be at Lyons Municipal Cemetery. Visitation will be from 2:00 to 7:00 P.M., Tuesday, August 14, 2018 at Birzer Funeral Home, Lyons with family present from 5:00 to 7:00 P.M. Memorials can be made to Bell and Star Fund in care of Birzer Funeral Home, Lyons.